PRICED FOR A QUICK SALE!! 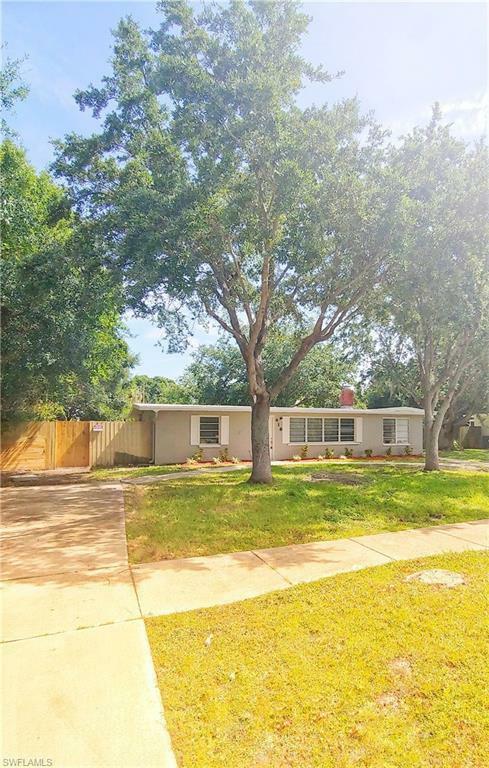 Completely remodeled, 3 bedroom 1.5 bath move-in ready worry free home offers a BRAND NEW ROOF, AC, HOT WATER HEATER, FRESH PAINT INSIDE & OUT&so much more!As you drive up to the property you'll be greeted by the fresh landscaping and large U-shaped driveway. Walk in the Front Door and immediately notice the new laminate flooring throughout leading up to your beautiful white-washed Fireplace.This bright kitchen is equipped w/ all new cabinetry, new granite counter tops, new Stainless Steel appliances, light fixtures &window coverings complimented by a beautiful newly installed backsplash. The Dining room has plenty of space for the family and friends to get together for holidays and hosting with charming built in cabinets! Upon Entering the upgraded main bath with tile shower/ tub combo, and granite countertops. The master bedroom suite comes with such unique & charming features including wood paneling, lots of windows and large sliding doors which lead out to a screened patio that overlooks your oversized fenced in backyard & free-standing shed for extra storage.